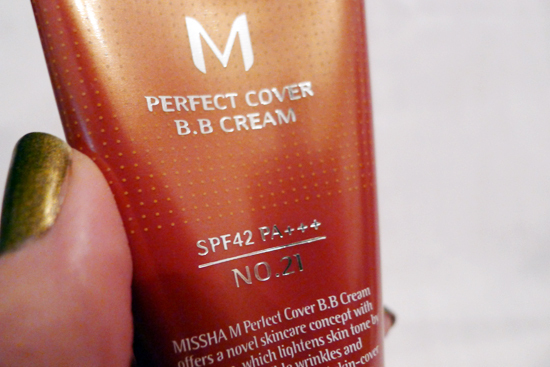 Oh, Missha Perfect Cover BB Cream! We finally meet. It’s been a long road to get here though. When I first read about BB creams, one of Asia’s hottest beauty products, it was 2011 and the only ones available were Korean. I loved the idea of having a makeup with skincare benefits, but I doubted my abilities to choose the best one since, at the time, I knew very little about the Korean labels that were making them. They also weren’t as readily accessible here in the states as they are now, so when American brands like Estee Lauder released their own BB creams last year, I was very excited. That excitement soon turned to disappointment as I realized that the Estee Lauder BB Cream was little more than a tinted moisturizer. The Dior BB Cream was a little better, but it still wasn’t quite what I had imagined. Soon I learned that others felt the same way, and there was suddenly a lot of controversy about how different American BB creams were than their Asian counterparts. I felt let down, and gave up on BB Creams altogether, until I started reading about the Korean brands again. Korean BB creams are much easier to obtain these days, and thankfully there are now tons of reviews for brands that a couple of years ago, were completely unfamiliar. One of the more popular and favorably reviewed Korean BB creams in the US market is Missha Perfect Cover BB Cream. Missha is an affordable Korean mass-market brand that is available here via their US website. I scored a pretty amazing deal (more on that later) and finally got my hands on a bottle this week. I love the packaging. The box is beautiful, but so is the tube itself, which has a really nice pump at the end so it’s very easy to control how much product I’m using. One thing I noticed right away is that there is a manufacturing date stamped right now the bottle. It’s a feature that’s very common in Korean cosmetics. I found it comforting to know that I was receiving a fresh product. 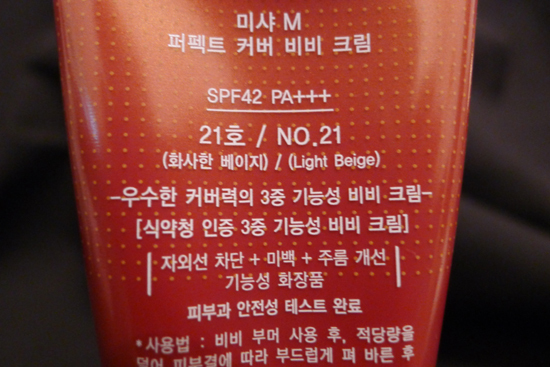 The offer I used to get this bottle of Missha BB Cream was limited to just one shade – #21, which is a very light beige. I was initially very concerned that it was going to be way too light for me in spite of the fact that these colors are meant to adjust to your skin tone. Those fears went away a couple minutes after I put it on- it oxidized very quickly to match my skin color. I applied very little – about a pea sized amount – and got plenty of coverage. This makeup was very easy to blend and felt very light on my face, though I would not describe it as weightless. I would describe the coverage as medium, and the finish is semi matte. My skin looked dewy and even-toned for hours after applying. I did not use a setting powder, and I’d say the makeup lasted about 6 hours before it needed touch-ups. My skin stayed moisturized the entire time, but not greasy. This product’s coverage is supposed to be buildable, and for some people, that may be the case. However, when I attempted to build coverage, it started looking a little bit cakey. This would be a bigger issue for me if I wasn’t already happy with the medium coverage I obtained initially, but could be a problem for those with dark marks or scars that need a heavier hand. For those folks, I would recommend using concealer for the dark marks instead of relying solely on the BB Cream to hide them. 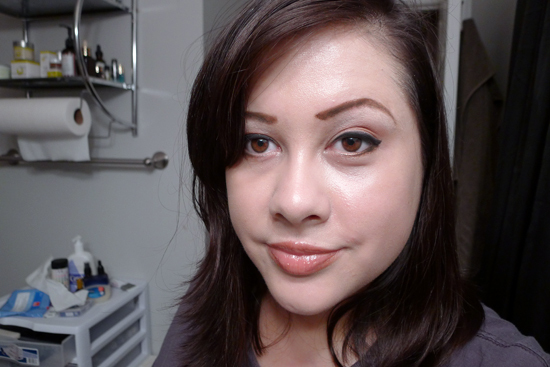 Before : I’m not wearing any foundation here – only moisturizer. This is my face with a pea sized-amount of Missha Perfect Cover BB Cream. Great coverage! Closeup of my skin with nothing but moisturizer. I’m super impressed with how even my skin tone is with so little product. This BB cream offers SPF 42, which is a lot of sun protection! But – here’s a bummer news flash – I recently read that the SPF found in most foundations and BB creams isn’t as effective as it should be. I’m still researching that topic and promise to write about it when I know more, but in the meantime, I am still applying a separate SPF underneath it to be safe. The writing on the bottle is Korean, so unless you’re fluent, you’ll have to do what I did and look for the ingredients list online. Missha Perfect Cover BB Cream claims to fight wrinkles, but it’s only been a few days so I haven’t seen any evidence of that yet. However, the ingredients list for this cream does include a lot of promising skincare actives: jojoba oil, ceramides, rosemary extract, algae extract, and caviar extract to name a few. It also contains mineral oil, which is a controversial ingredient right now. However, I’ve done my research and I’m okay with it. There is a very small percentage of people who do have a sensitivity to mineral oil, so beware if you’re one of those people. And lastly, this product contains silicones, which I was afraid would break me out. I am generally sensitive to silicones – it’s one of the main reasons I don’t wear primer. 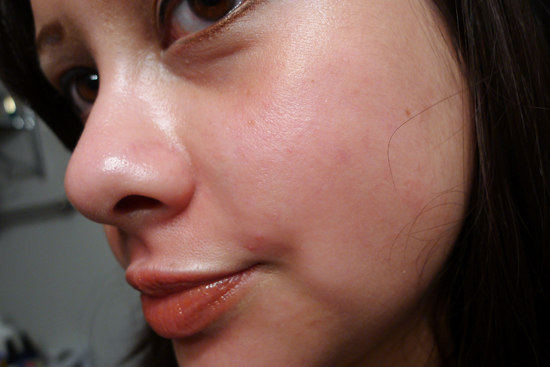 However, I’ve been wearing this BB cream for a few days, and so far I haven’t seen any irritation. I would not recommend this product for people are sensitive to fragranced skincare products. This BB cream definitely contains fragrance, and unfortunately, it’s not the best smell – it smells like old lady perfume. The scent disappears a few minutes after application, but those that are sensitive to fragrance my have problems with this. I’m extremely pleased with Missha Perfect Cover BB Cream. It has definitely met the expectations of what I thought a BB cream would be when I first read about it. I highly recommend it for people without sensitive skin who are looking for a decent amount of coverage in a product with a lot of skincare actives. I liked it so much that I’ve decided to try some other Korean BB creams to see what else I’ve been missing out on. 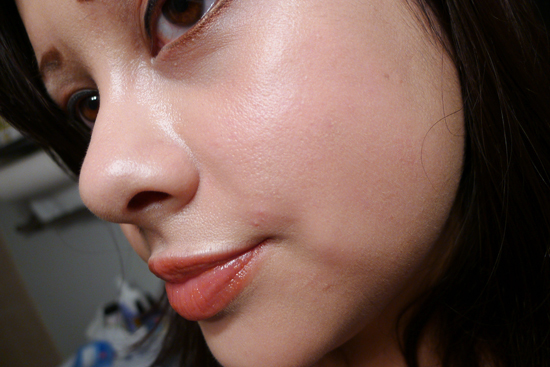 Look for a review of Skin79 VIP Gold BB Cream in the near future! This product is very affordable, but for whatever reason, there are still tons of fakes out there. You want to be sure you’re getting the genuine article, so, the Missha website is your best bet for purchasing this product. The full retail price for Perfect Cover BB Cream is $30, but Missha frequently has sales, so you can easily get this product for 20-50% off. I happened to score a link to a deal that got me a large, full size BB cream for free with any purchase on their website plus shipping (which is $9). I bought a mask for $2 and paid a total of $11 for this BB cream (and a green tea mask). Jealous? Don’t be. I’m giving you a link to that deal too: here it is! The catch is that this deal is only for color #21, which is light beige. If your complexion is darker than N20, this color may not work with you. I’m not sure how long that offer lasts, but as of today, it was still valid. If you miss out and insist on hunting for a bargain, there is one Amazon reseller that I can recommend. The seller’s name is PinkGelee, and has a reputation for selling authentic Korean cosmetics and skincare. This seller’s Missha Perfect Cover BB Cream is currently priced at just under $20, which is a fantastic deal. Have you tried any Korean BB creams? What did you think? You have such a nice complexion in your without picture! I am jealous! Your skin looks so perfect, it’s almost hard to tell how BBs could even improve it!! Thanks! Skin compliments are my favorite kind of compliment! You know, your comment made me come back an reread this entry. Since I’ve written this, I purchased the Perfect Cover in #23 which turned out to be a much better match for my skin tone. I almost want to come back and add some additional after pictures to show the difference! My boyfriend bought this for me in #23. At first it was a bit dark for me but since I got a bit darker now -_- it suits my color well. I like it that I don’t need to put too much of this product. Also the semi-matte finish. I don’t need to settle it with powder. I’ve been using this product in shade #23 for about 4 years now. I have had the opportunity to try several other Korean BB creams (and CC creams) from samples I have received with my orders. Nothing else compares to this one. It works perfectly for me. It’s the right color, provides the best coverage, is nearly weightless, wears a long time and keeps my skin looking great. Before using this I’d have an occasional breakout. Now my skin looks great with no breakouts. 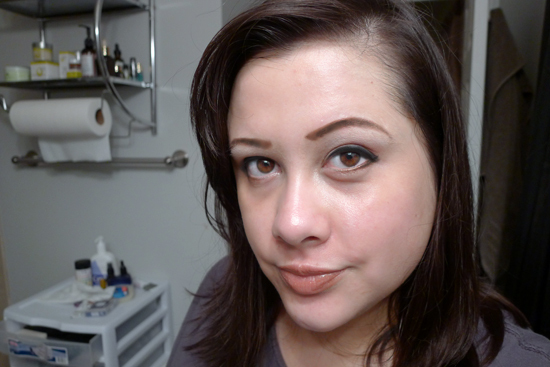 A little about me… I’m 44 with dry skin, few wrinkles, some dark spots and a few broken capilaries. I usually use the Missha “BB Booster” first, then the BB cream and then touch up with a little concealer on problem spots.